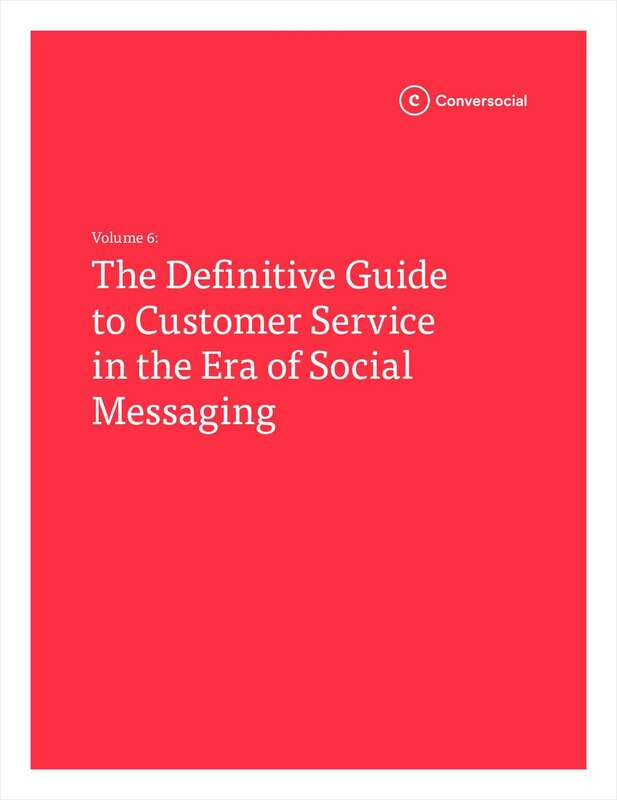 "The Definitive Guide to Customer Service in the Era of Social Messaging"
Free Guide: "The Definitive Guide to Customer Service in the Era of Social Messaging"
Conversocial's "Definitive Guide to Customer Service in the Era of Social Messaging" is an industry renowned publication. From planning through execution and measurement, it will help your business harness the power of social messaging as a scalable and measurable operation. By submitting this content request, I have legitimate interest in the content and agree that Conversocial, their partners, and the creators of any other content I have selected may contact me regarding news, products, and services that may be of interest to me.